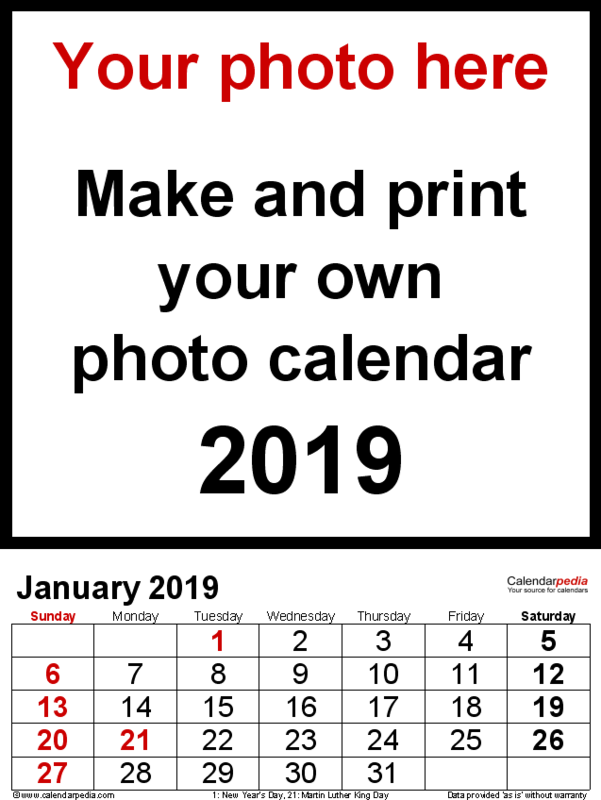 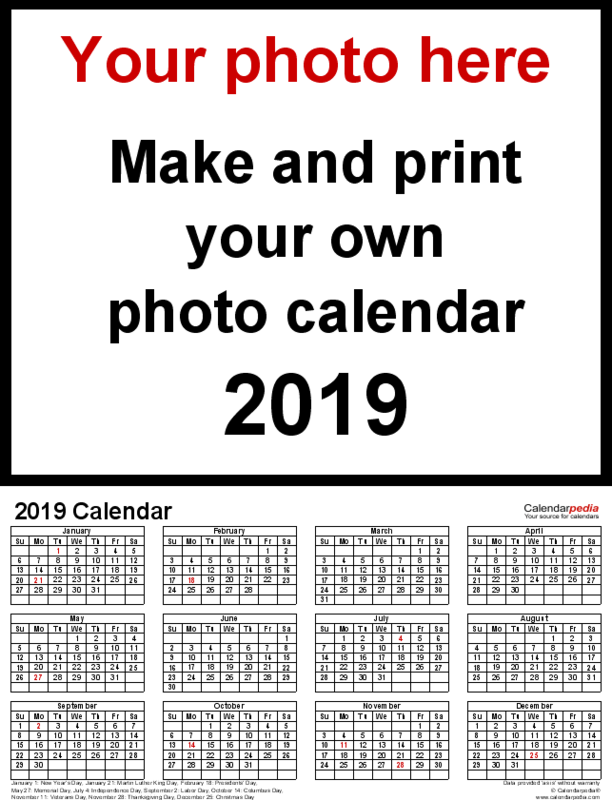 Free PDF photo calendar maker templates for creating personalized / custom photo calendars for 2019. 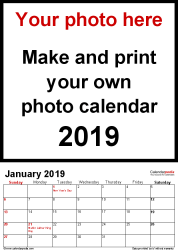 United States version with federal holidays 2019 and in US letter paper size. 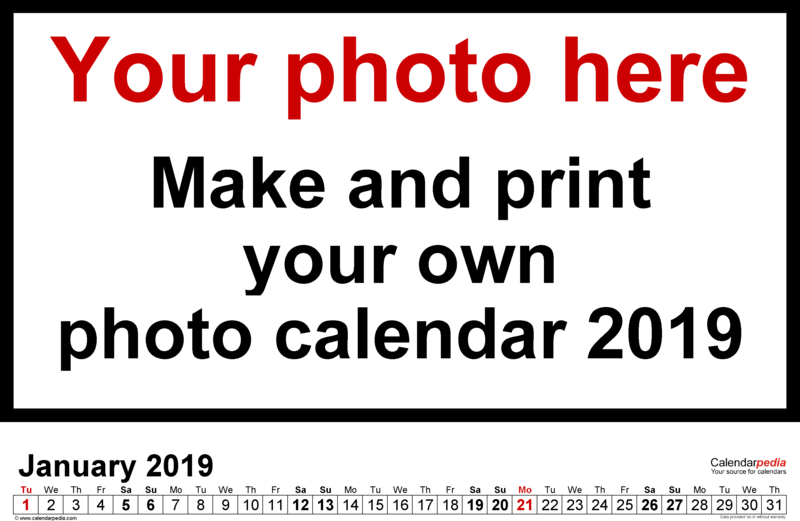 Simply stick or glue on the photos or pictures of your choice to make an attractive, light-weight and easy to send, and extremely practical present. 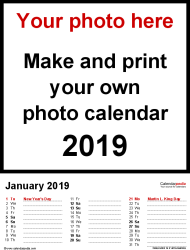 It's a great gift idea for family, friends and even business associates.